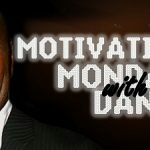 » MOTIVATIONAL MONDAY WITH DAN: Adversity – Friend or foe? It’s another Monday again and the start of another week. May the new week bring out the best in you. Today, I begin a two part series on Adversity. It’s my hope and prayer that it adds positive value to your life as you strive to achieve good success. Adversity is a difficult or unpleasant situation; an unfortunate event or circumstance; a condition marked by hardship, challenges, calamity or distress. We all experience it in one way or another – large and small. They present themselves to us throughout our lives. While some people struggle with poverty and financial problems; some face difficult health problems; others have challenges in their marriage or with their children; some experience loneliness or unfulfilled hopes and dreams. Adversity are hurdles on the track of life. Each hurdle you clear, takes you one step closer to realizing your potentials and reaching your dreams. Adversity is never easy or fun, but can be the launching pad to significance and success. *Nelson Mandela spent 27 years in prison before he became the first democratically elected president in South Africa. *Pastor E.A. Adeboye the Head of RCCG overcame extreme poverty to become one of the most successful preachers in the world and one of 100 Most Reputable People on Earth. *Abraham Lincoln failed in business, experienced depression and multiple rejections, was defeated eight times in elections before becoming the16th President of the United States of America. *Born into a childhood of poverty and violence, Chris Gardner overcame homelessness to become a world-class stock broker and one of the richest African-American of our time. *Albert Einstein didn’t speak until he was four years old. *Kris Carr turned her cancer into a business of hope and healing. * Franklin Roosevelt developed polio which eventually left him paralyzed from the waist down for the rest of his life. However, he went on to serve as Four-time President of the United States; becoming one of the most respected and memorable presidents in history. *Overcoming a childhood marked by abuse and poverty, Oprah Winfrey has been ranked the richest African-American of the 20th century, the greatest black philanthropist in American history, and for some time the world’s only black billionaire. These great men and women demonstrated determination, resilience, persistence, perseverance and tenacity to push past their adversities and succeed. If they could do it, surely the rest of us can muster the same courage and strength to overcome our adversities! Abraham Lincoln once said, “That some achieve great success is proof to all that others can achieve it as well.” Each of us has within the capacity to “bounce back” from adversity. As we continue in the week, remember, “Adversity is never a roadblock, but a hurdle, that once cleared puts you one step closer to achieving your desires and dreams. To your success!